Before America Singer's story began, another girl came to the palace to compete for the hand of a different prince…. Don't miss this digital original novella set in the captivating world of Kiera Cass's #1 New York Times bestselling Selection series. This prequel story takes place before the events of The Selection and is told from the point of view of Prince Maxon's mother, Amberly. 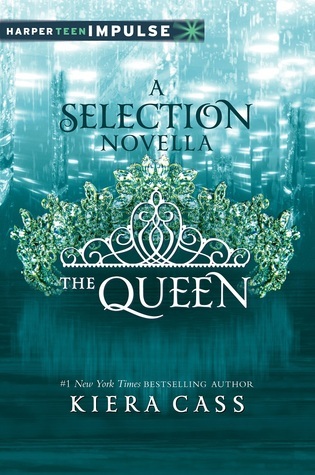 Discover a whole new Selection with this inside look at how Maxon's parents met—and how an ordinary girl named Amberly became a beloved queen. I put this one on hold at the library as soon as it came out, but apparently it wasn't soon enough! This novella was released on December 2 and I finally got it on January 3. Needless to say, I quickly finished what I was reading and went straight to this. This was my favorite of The Selection novellas so far. Well...maybe behind The Prince. Kiera did a good job with consistency here. That's what I most enjoyed about this. Those who have read the books know Prince Maxon's father to be a certain way, and I was really happy to see that his character in this novella is believably on par with the King he becomes. It was also really neat just to see another Selection process. Reading this made me even more excited for The Heir, which is the story of America's daughter Selection. I need that book NOW.